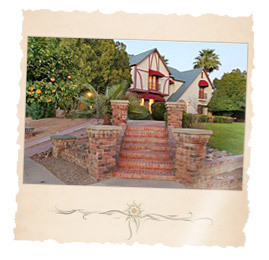 Spanish-inspired 1930's Arizona luxury homes, Sam Hughes Neighborhood Community shares its name with the Historic District just east of the University of Arizona and is one mile from Medical & Urgent Care Centers. The red tiled roofs and Art Deco architectural details add to the incredible variety of early Tucson homes in this residential area. This Sam Hughes Neighborhood area, often recommended by University of Arizona departments, is a contributing historic community with giant shade trees, a huge walled courtyard areas with Arizona homes having a brick sunken fountain gardens, mature foliage and many places to sit and relax on the large Ramada covered patios. This peaceful Tucson, Arizona Sam Hughes Neighborhood offers a tranquil retreat for those who want to enjoy a centrally located oasis. Sam Hughes is closer to most University of Arizona sports venues than any other neighborhood communities in Tucson. Walk to shopping, restaurants and bus stops in all directions. Find paved jogging path, tennis courts, golf, outdoor concerts, baseball, the zoo, and year-round swimming in a UV protected & heated pool in the Reid & Randolph Parks complex less than five minutes away. Only 15-20 minutes from surrounding mountain ranges & hiking trails, this in-town Sam Hughes Neighborhood is one of the handiest Tucson locations for any type of lifestyle you choose. The Sam Hughes Neighborhood area is a charming place of mature Arizona homes, popular with young families, the schools are highly regarded with home prices ranging from $200,000 to $2,000,000. This Sam Hughes Neighborhood is in a continual state of revitalization as new owners rehabilitate the Arizona historic buildings and has been considered a Tucson treasure for many years, named after the school near the center of the area, which in turn was named in honor of Sam Hughes who came to Tucson in 1858 and was an early proponent of a free public school system. 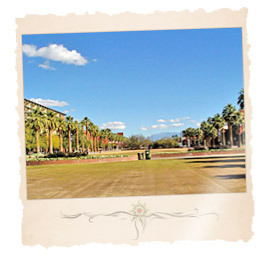 In 1994 the Sam Hughes Neighborhood was added to the National Register of Historic Places, bound by Campbell Avenue to the west, Broadway Boulevard to the south, Country Club to the east and Speedway to the north, and is composed of 300 acres with 800 Arizona buildings. Of these buildings, 600 mostly Arizona homes are considered historically significant and represent twenty different architectural styles. Today's Sam Hughes Neighborhood residents enjoy the neighborhood because of its central location, convenient to the University of Arizona, Himmel Park Library and a variety of original shops and unique services. It is known for its bike routes, recreational facilities, pleasant areas for walking and jogging, and a generally quiet, settled Sam Hughes Neighborhood Arizona environment. The tools to begin your new Sam Hughes Neighborhood Community Arizona homes search are at your fingertips. To get started, simply click on the quick link above or browse Arizona new construction homes and houses for sale using the links to the right. 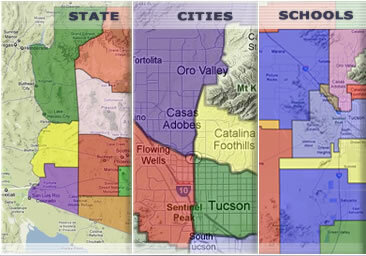 Find a new Sam Hughes Neighborhood Community Arizona home for sale or locate a home builder in Arizona on MyOwnArizona.com. Our MyOwnArizona™ Sam Hughes Neighborhood Community Arizona real estate guide showcases new construction homes, townhomes, condos and new Arizona communities by new home builders throughout the State of Arizona. Find new homes by map, desired home price or by browsing new developments and floor plans by lifestyle or home type. All home listings include Arizona home price, location and money saving incentive offers to make buying a new Sam Hughes Neighborhood Community home more affordable. All houses for sale listed include floor plans, pictures and many offer tours of the new homes and communities. Contact us at: info@MyOwnArizona.com for Arizona & Sam Hughes Neighborhood Community in Tucson, AZ real estate.